It’s not about the destination, it’s about the journey. That’s what I always tell myself. But being the organized, planner I am, I can never quite seem to enjoy that. I always am thinking of what the faster route from point A to point B is. Even if I go a circular route, it’s because I wanted to make a stop that was pre-planned. I’m the girl who tried to do a “spontaneous” road trip cross country and ended up planning out the trip so much we had an excel spreadsheet and hotels booked every night! In May, at the end of our LA trip, we decided to stop in and see a friend that lived near-by. They were a thirty-minute drive from us, and not far off the route. Seemed liked an easy (and planned) stop on our trip up north. 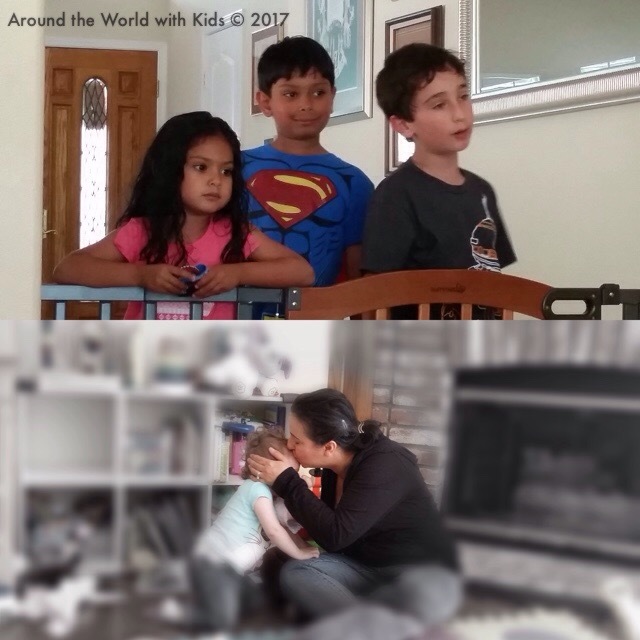 So we got in the car, and drove up to have brunch at their house with your young children. As we got ready to go, we checked Google Maps, which said that the fastest route up to the Bay Area was via US 101. We had planned to go back toward I-5, which is a long, boring interstate, but Google claimed we could see almost an hour going US 101. 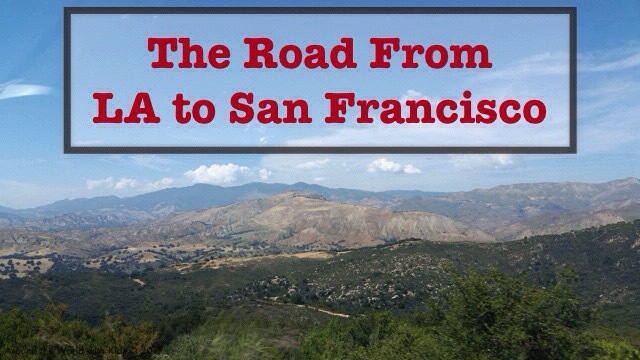 Not far into US 101, Google sends us on a short cut through Los Padres National Forest. This was a mostly one lane road though a national forest. 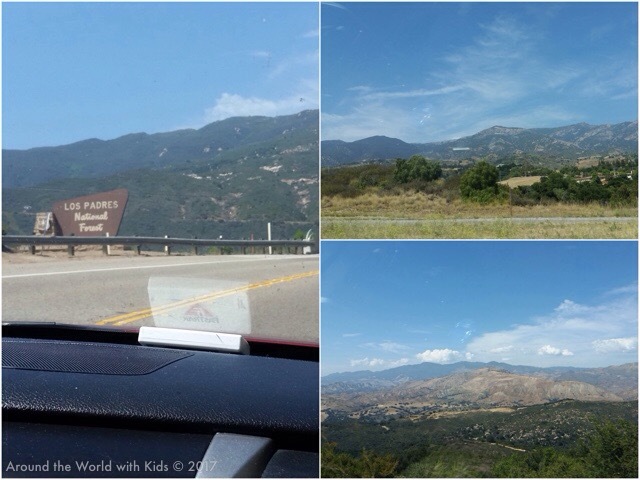 Here we had beautiful curvy roads, mountain scenery, and little to no other traffic on the road to spoil the view. There were flowers, greenery, and no houses, town, or other blots of civilization. It was peaceful and serene. The road eventually rejoins up with US 101 North, which is a two lane highway that runs long the ocean. 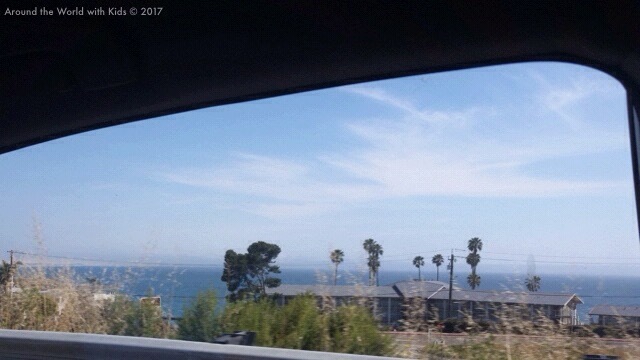 Here we saw the waves crashing on the shore, houses that were along the shore line, and hills and cliffs to break up the view. Soon the kids wanted to take a break, and so did the adults. My husband saw the San Luis Obispo was not too far ahead. We figured we could find a Starbucks or some snack, and a place to stretch our legs. After stopping at Starbucks, before we got in line, my son saw someone walking with an ice cream cone, and suddenly that’s all my kids wanted. 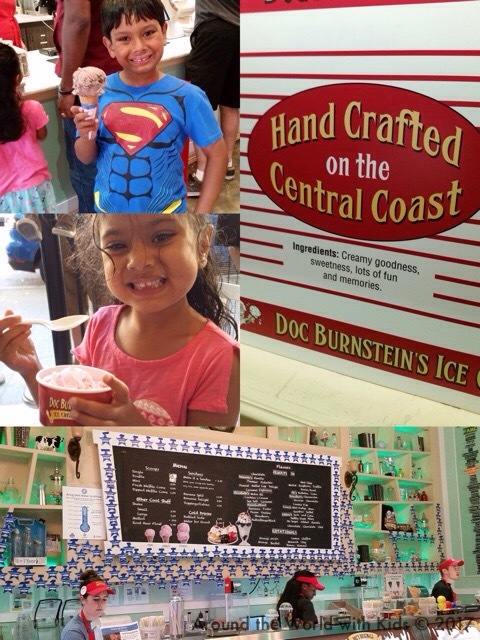 A quick Yelp search found that Doc Burnstein’s was just a block away, and had some of the best ice cream in San Luis Obispo. They were not kidding. Big cones, creamy ice cream, and fun flavors. This was the favorite stop of the group. After eating the ice cream, no one was ready to get back in the car. 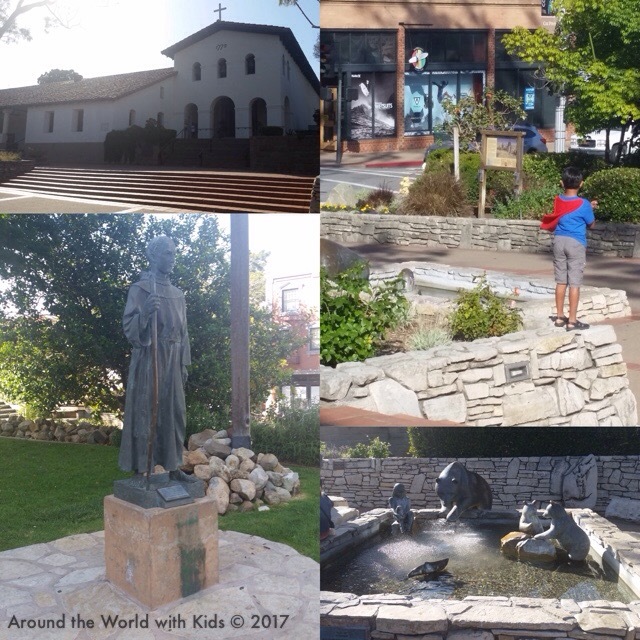 While at ice cream I decided to do a little research on the town and discovered that not only was it a hopping college town, but in the center of town was a beautiful old mission. We arrived too late to go into the mission, be we did enjoy walking over, and walking around the mission grounds. The kids had a good time running up and down the stairs, running around, and generally stretching the legs that were curled up in the long drive. At this point it was almost dinner time, so we grabbed a quick bite to eat at a local taqueria. Then we headed back to the car to get back on the road back to the Bay Area. We still had about three and a half hours left of driving and it would be getting dark soon. We finished the rest of the trip rather uneventfully, with one last restroom stop before we got home late in the evening. We came home much later than expected, but much fuller for the experience, and glad to have followed our hearts as opposed to our heads for once.